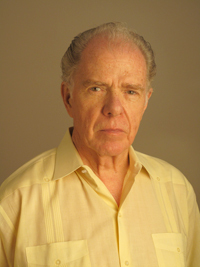 William Kennedy is best known for the novels of his Albany Cycle. A singular epic of that capital city and its Irish-American clans in the 19th and 20th centuries, the work has earned Kennedy comparisons to James Joyce and Saul Bellow. Among its novels are Billy Phelan’s Greatest Game (1979), The Flaming Corsage (1996), and Ironweed (1983), which won the Pulitzer Prize, the National Book Critics Circle Award, and a PEN/Faulkner Award, and was chosen by the Modern Library as one of the 100 best English-language novels of the 20th century. In this audio recording from the 27th Key West Literary Seminar, Kennedy reads two unpublished pieces. The presentation begins with a brief (5:30) essay recounting Kennedy’s first short story, “Eggs,” and the lukewarm reaction it garnered from his friends and family. This is followed by a reading from the opening chapter of Kennedy’s unnamed novel-in-progress. A continuation of the Albany Cycle, this forthcoming novel focuses on Daniel Quinn, a reporter for the Albany Times Union and the grandson of the Daniel Quinn from Kennedy’s Quinn’s Book. This recording is available for noncommercial and educational use only. All rights belong to the author. © 2009 William Kennedy. Used with generous permission from William Kennedy.